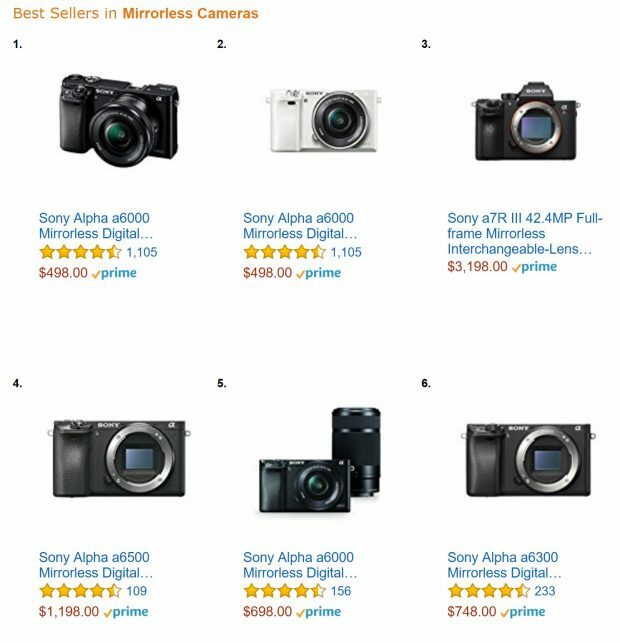 Amazon Top 7 Best Selling Mirrorless Cameras are all from Sony ! With the release of Sony Black Friday deals yesterday, it seems that Sony’s mirrorless cameras are sold very well now, according to Amazon Best selling rank in mirrorless cameras, top 7 mirrorless cameras are all from Sony now, they are a6000, a7R III, a6500, a6300, a7R II. Previous Previous post: You can Get a Full Frame Sony a7 Camera for Only $798 now !